Verify proper operation of the GFCI (residual-current device) to make sure it will instantly break an electric circuit and prevent serious harm in case of electric shock. 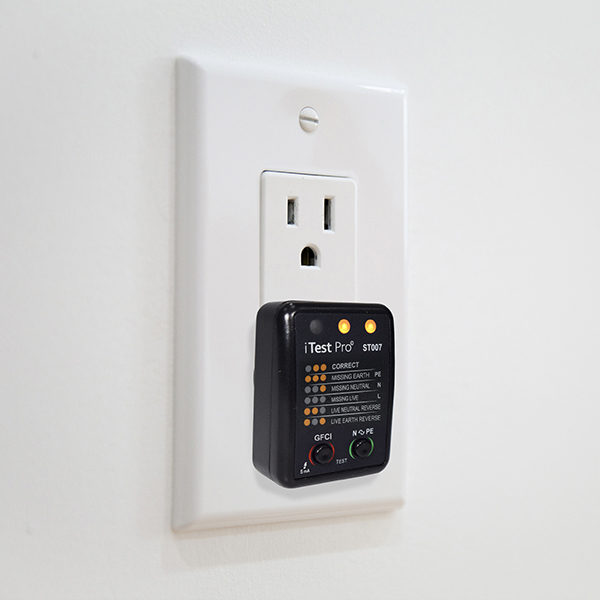 ST007 is a Professional socket tester with GFCI test used to confirm the correct wiring of US and Canadian standard electrical outlets/sockets/receptacles in residential & industrial buildings. 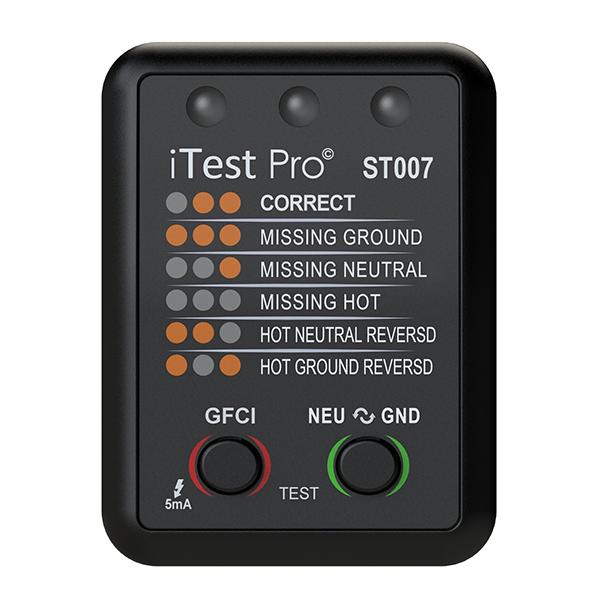 Three LED lamps will indicate if there is any fault in the socket wiring and mention six different wiring [Missing Ground, Missing Neutral, Missing Hot, Hot-Neutral reverse, Hot- Ground reverse and Neutral- Ground reverse GFCI TEST: The ST007 socket tester will also test that the GFCI in the wiring system is working properly to verify the user protection in case of electrocution . 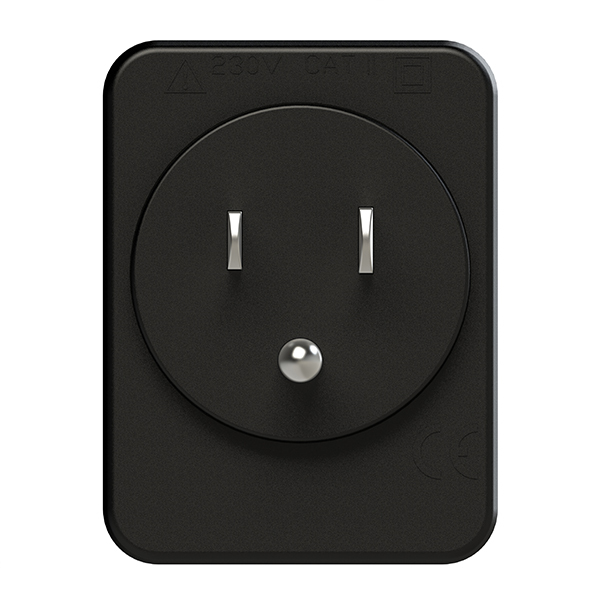 What is GFCI? 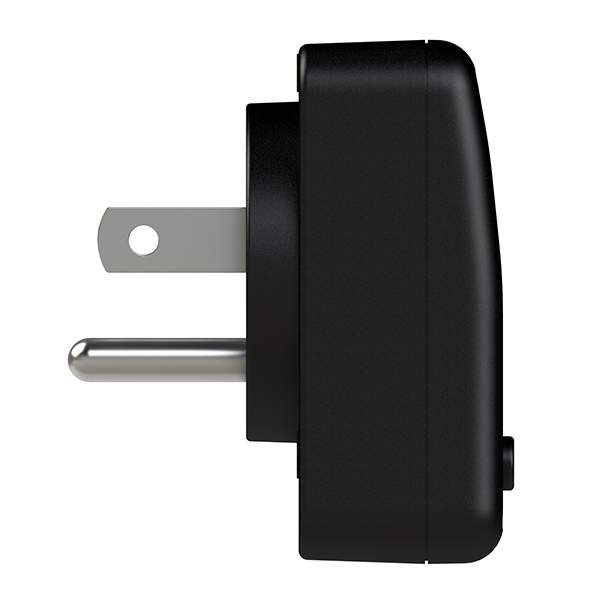 Ground fault circuit interrupter (GFCI) outlets are connected for protecting people from electrical shock, usually being used in bathrooms and kitchens where water is present. A GFCI monitors the amount of current flowing from hot to neutral for detecting electrocution. In any case of electrocution the device will cut quickly (20-30 milliseconds) the power supply to the human body, reducing any possible injury. The ST007 will test the socket wiring and polarity, and will indicate exactly each of the faults in the wiring system. 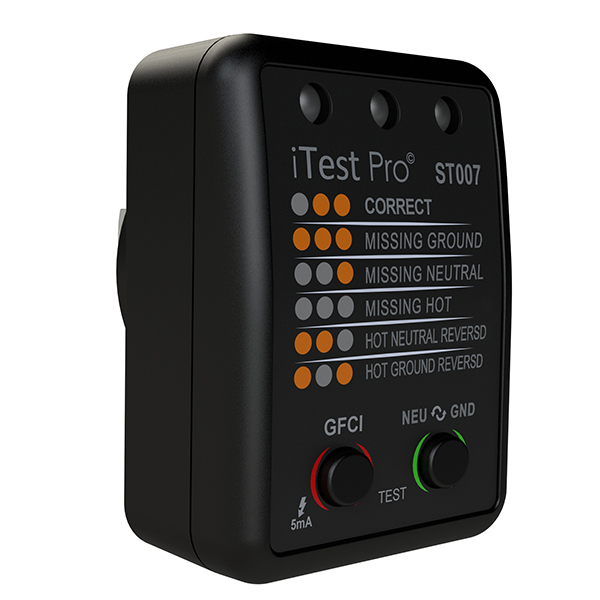 The ST007 will whether the GFCI is operating properly or it is damaged. Safety: Do not use the ST007 Prior to reading carefully all the user manual.